Beltweigh XC products provide a level of capabilities that are suited for users that are introducing product inspection to their production processes and those who are already employing checkweighing and looking to increase capacity with an economical solution. The Beltweigh XC utilizes the Mettler-Toledo Hi-Speed XC control. 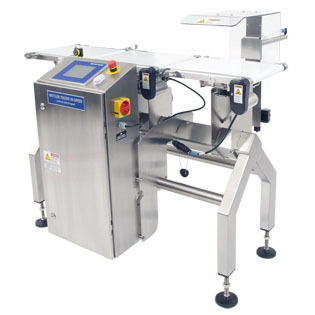 The XC is equipped with many features customers look for in a basic checkweigher. The XC control provides easy and intuitive menu navigation with 11 separate fields of information neatly organized in a full color 5.7” color touch screen interface. For added security, access to set up and configuration menus are password protected. The color touch screen offers easy to understand menu options and provides dual language capability.